Ah, Warner Bros, what are you doing!? 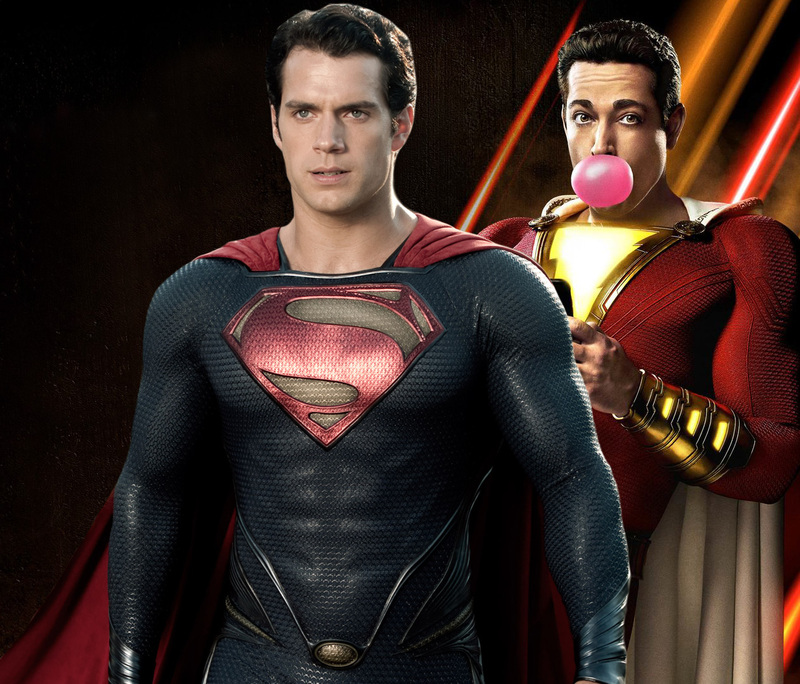 So, for some time now we have been hearing rumblings of a Superman cameo in the upcoming Shazam! movie and we were really excited. But then as you all know, the rumours started spreading last year that Cavill was done playing Superman because Warners were relegating him to cameos and Cavill, understandable given that his Superman has been the cornerstone that the rest of the movies have been built on. And the word was that Warners were not prepared to spend the big money on Cavill if he’s all set for guest appearances. And so, ever since September (here) we have pretty much thought Cavill, disappointed as we were, was finished in the role. But THEN Jason Momoa said that Cavill is still Superman (here) and we didn’t know what to think anymore. But if this new rumour turns out to be true, then it doesn’t look good for Cavill retuning to the role. New reports are saying that the test audience previews of Shazam! do indeed have Superman appearing… but it’s not Cavill. Now it’s still possible this will change… we know that Cavill wants to play Superman (and has teased a little in the last few days (here)) and we know Warners want him to play him too, so it is possible something will be worked out. We hope so… we can’t wait for Shazam! and an appearance from Cavill would be the icing on the cake.